Poland seems a most unlikely place for the next chapter of Valeant Pharmaceutical’s saga to play out. Weighing in at about 3% of sales, the Polish operations are seemingly a modest contributor to Valeant’s fast growing bottom line. But Valeant’s Eastern European operations have recently been the source of a good deal of message board rumor, which in turn has prompted the company to quickly respond. 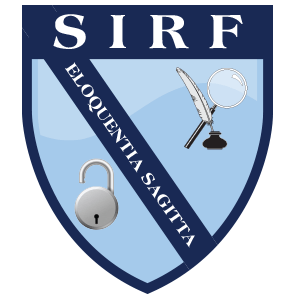 So the Southern Investigative Reporting Foundation set out to see whether Valeant’s units in Eastern Europe are as robust as their North American brethren. We chose Poland to start with because it’s the third largest geographic segment and, along with Russia, a core component of the company’s Emerging Markets unit (which represented 25% of sales last year.) Just as importantly, unlike Russia, Poland doesn’t have a rich civic tradition of killing investigative reporters or the people working with them. There’s a lot more inventory in the corporate supply chain than meets the eye and that’s rarely a good thing, at least in the long term. Moreover, this is occurring against the backdrop of a flat sales trend in Poland. 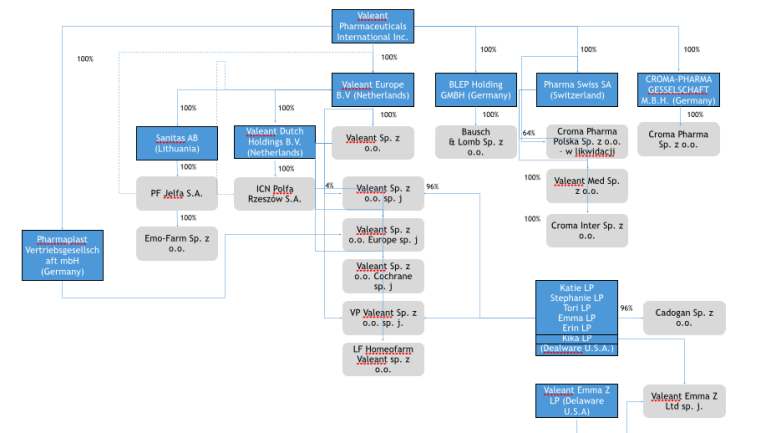 Given the complex Valeant Europe organizational chart, sussing this out wasn’t a walk in the park. On November 10, Valeant chief executive officer Michael Pearson, during a conference call to discuss its business in the wake of its Philidor driven controversies–stories Southern Investigative Reporting Foundation readers will recall we were the first to report–noted that Polish inventories are currently around four months and are slated to be brought lower. But the full picture is much more complicated than that. In Poland, three of Valeant’s subsidiaries, ICN Polfa S.A., PF Jelfa and Valeant SP. Z O, account for 98% of its revenues. Of the three, Valeant SP is by far the largest, amounting to about 75% of revenue. It’s not, as might be expected, a manufacturer but a wholesaler, buying drugs Valeant produces in Poland and elsewhere, and then selling it to other distributors. While Valeant’s explosive revenue growth is what made the company so beloved of investors, that hasn’t made it to Poland yet. Through the third quarter revenues from the three units, as measured by IMS Health data, were just under $187 million and on pace to slightly improve upon last year’s $270.3 million. In turn, 2014’s sales were off relative to $296.4 million in 2013. Add that to the 120 days of sales that Valeant recently acknowledged having in the channel. That’s 215 days of Valeant’s production chain that hasn’t made it to the retail market. Since the end of 2013, IMS Health data shows Valeant’s inventory in the distribution channel increasing to four months from under two months. So Valeant in Poland is clearly moving inventory less rapidly than its peers and per above, has put additional product into the channel earlier this year given the increase to four months of sales. To be fair, the comparisons are not exact given that the other three companies are purely wholesalers and Valeant has manufacturing operations. A spokeswoman for Valeant, Renee Soto of Sard, Verbinnen & Co., said Polish inventory levels as of yesterday were back to three months of sales. The supply chain process in Poland for getting a drug to a pharmacy from the plant is fairly described as labyrinth. Evidence the first is an occasional fourth step in the supply chain process called pre-wholesale warehouses, which are owned by the wholesalers but aren’t tracked by IMS Health. This inventory essentially falls “off the grid” and it’s nearly impossible to see how much is in there or how long it stays. Industry insiders in Poland say that pre-wholesale warehouses hold inventory from manufacturers and charge them between 1.2%-2% of the value of the inventory per month as a fee. Then there is Myslowice, a 138,000 square foot warehouse located equidistant between Valeant’s two other facilities in Jelenia Gora (546,000 square feet) and Rzeszow (412,000 square feet.) You won’t easily find the facility listed on the company’s website because it leases it from DHL, the giant shipping and logistics company whose Exel unit often leases properties to work with key clients. Valeant says the facility is currently its main distribution hub for Poland and Eastern Europe and that it does a small amount–approximately $4 million–of consignment sales there for a hospital unit. You can read their full response here.